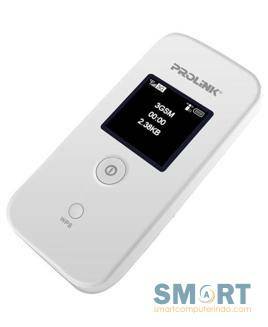 The PROLiNK® PRT7001H Portable HSPA+ WiFi Hotspot delivers high speed data transfers of up to 21.6Mbps and WiFi sharing of up to 11 users or devices. The powerful Li-Ion battery also allows you to stay connected for up to 10 hours on a single charge. Designed with convenient LED indictors that displays the connection status, signal strength and on/off power, you can experience total mobile connectivity without hassle. The PROLiNK® PRT7011L Portable 4G LTE Wi-Fi Hotspot provides high speed data transfer of up to 150Mbps and Wi-Fi sharing of up to 10 users or devices concurrently. 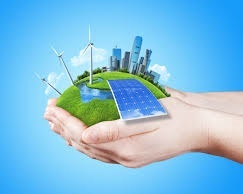 The device also comes with a built-in rechargeable battery that allows you to stay connected for up to 10 hours on a single charge, even there is no power point nearby. Aside from that, the device comes with 3 LED lights on its front panel which displays a clear indication of the current battery status, Wi-Fi strength and 4G signal strength at a glance. 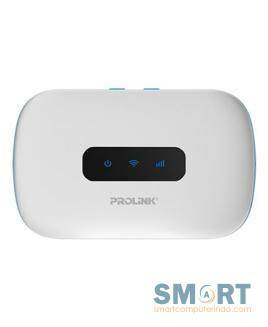 The PROLiNK® PRT7011L is an ideal portable WiFi device for frequent travelers who need a fast-speed, compact and light-weight device to be used and carried anywhere.